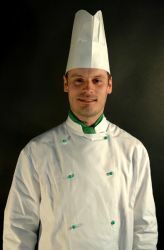 Filip Bárta - master chef, long-standing member of the IGC. Head of IGC catering. 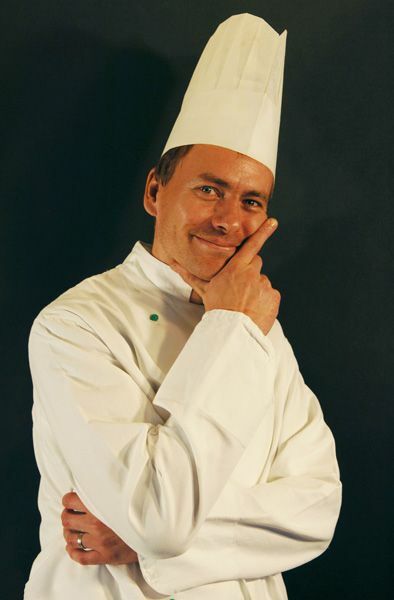 Chef of Czech restaurant in Czech National Pavilion at the 2005 AICHI World EXPO in Japan. Presented Czech gastronomy at Czech National exhibitions in Rio de Janeiro, Berlin and other cities of the world. Gastronomic practice in Switzerland in a specialised fish restaurant as well as in Germany, Japan and Canada. Own operation of several restaurants. Popular long-time super star of Vařečka, a television cooking show on TV Prima. A specialist on classical Czech national cuisine, Central European cuisine and fish dishes. An expert on the preparation and marinating of meat for grilling and broiling. A specialist on broiling entire bulls. Chef of the Stara Myslivna restaurant. 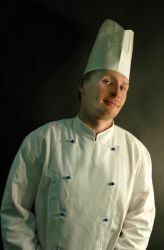 Michal Jeřábek – master chef. 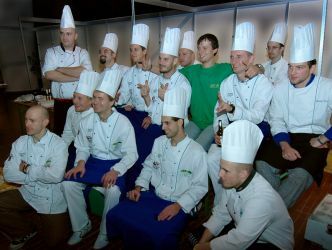 Chef of Czech restaurant in Czech National Pavilion at the 2005 AICHI World EXPO in Japan. After graduating from the hotel school in Ondříčkova Street in Prague he continued his studies in Toronto, Canada. Upon his return he made use of his rich experience in the Erpet Golf Centre restaurant and later the Mexican restaurant Cantina in the Lesser Town. In the position of IGC catering chef he represents Czech gastronomy at international gastronomy expositions in many world metropolises. Popular long-time star of the Vařečka television show on TV Prima. In addition to belonging to the basic team of IGC PRAHA chefs he is returning, at 31 years of age, to the Hilton Hotel to the highly prestigious position of sous chef for the central kitchen of the Hilton Hotel Prague. Pavel Karas 1942 - 2008 mistr šéfkuchař, zakládající člen a dlouholetý čestný předseda IGC. Ředitel a jednatel společnosti IGC - Gastonomické podniky. Znalec a specialista na přípravu pokrmů mnoha světových kuchyní. Pracovní praxe v mnoha zemích po celém světě. Autor několika kuchařských knih mimo jiné i “Zahraniční kuchyně ve veřejném stravování” s originálními recepturami ze 16 zemí. Autor mnoha článků do odborných kulinářských a gastronomických časopisů, Odborník na catering a řízení restauračních provozů. Skutečný gurmán a labužník tělem i duší. Pavel je a navždy bude neoddělitelnou součástí historie IGC. 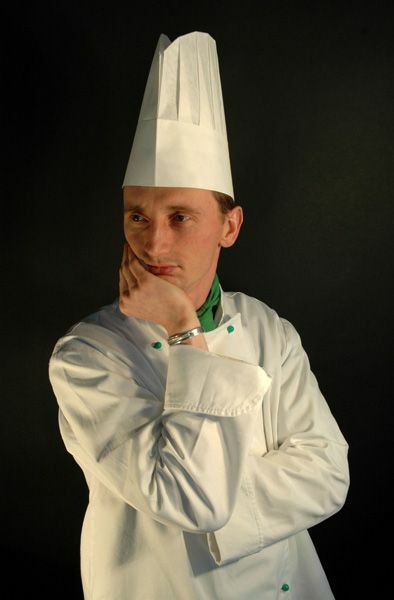 Miroslav Prosa – master chef. Chef of Czech restaurant in Czech National Pavilion at the 2005 AICHI World EXPO in Japan. After graduating from hotel school in Sydney, Australia and gastronomic practice with a specialisation in steak and fish dishes he became a chef in the Erpet Golf Centre, Letenský zámeček and Bellavista Italian restaurant. Further foreign experience in Germany. Chef at the Palazzo gastronomy show. Subsequently operated the Neo Palladium café in Prague. Chef and star of the Vařečka television show on TV Prima. Sought-after food stylist for the photography of meals for gastronomic trade magazines. Expert on French, Italian and Australian cuisine. Ondřej Roubín - master chef. 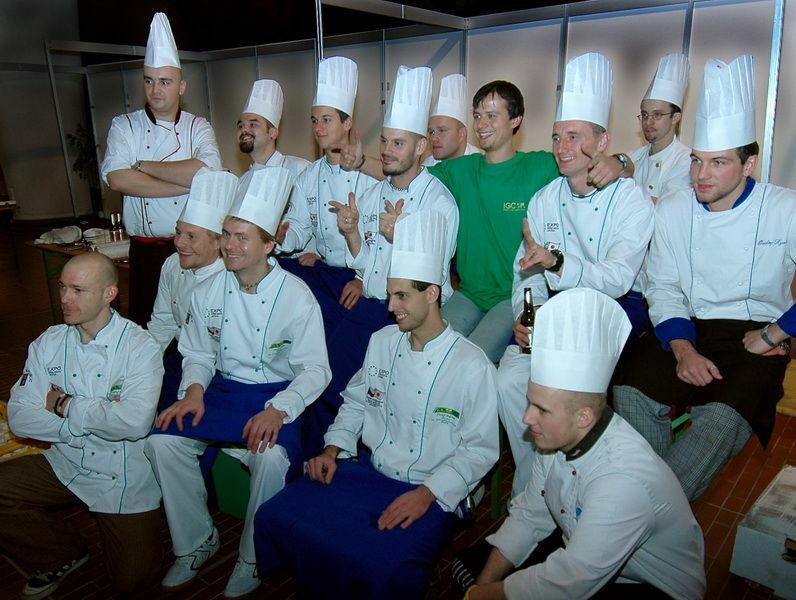 Chef of Czech restaurant in Czech National Pavilion at the 2005 AICHI World EXPO in Japan., kde současně odpovídá za dodržování hygienických norem podle japonských standardů s absolvováním veškerých školení a certifikací. Head of IGC catering se specializací na rožněná a grilovaná masa. Operation of renowned Los v Oslu restaurant in Prague. Odborník na zdravou výživu a energetické hodnoty pokrmů, specialista na přípravu čerstvých salátů a rybích pokrmů. Tomáš Záhorský – master chef, long-standing member of the IGC. Head of IGC catering. Chef of Czech restaurant in Czech national pavilion at the 2005 AICHI World EXPO in Japan. Presented Czech gastronomy at Czech National exhibitions in Kuala Lumpur, Berlin, Volgograd and other cities of the world. 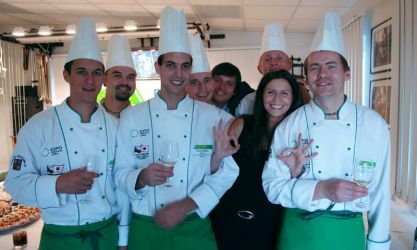 Gastronomic experience in Switzerland, Germany, Japan and Russia. Own operation of several restaurants. 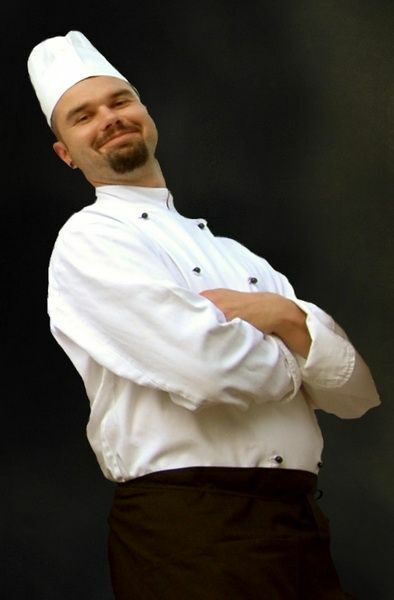 Years of participation in popular Vařečka cooking show on TV Prima, regularly participated in internet television Regio TV. 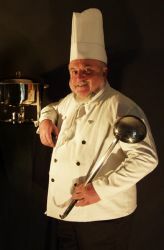 Chef in Hotel Alpenrose in Adelboden, Switzerland. Specialist in wild game dishes with an accent on dark game meat and fallow deer specialities. Chef of Stará Myslivna Restaurant. Lukáš Vokrouhlík – master chef. Chef of Czech restaurant in Czech National Pavilion at the 2005 AICHI World EXPO in Japan. Presented Czech gastronomy at Czech National exhibitions in Berlin and other European cities. Gastronomic experience in Germany, Switzerland, and Japan. 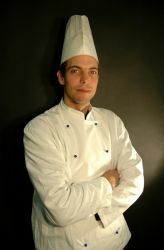 Chef of Hilton Hotel, subsequently Executive Chef of Hotel Prezident in Prague, later operated several restaurants. Specialist in Mexican and Italian cuisine and, as a graduate of Swiss hotel school, an expert on Swiss specialities and gastronomy. Sought-after specialist in food styling photography for advertising, trade journals and popular magazines. Popular star of Vařečka television show and cooking show “Rychlovky” on Internet TV Stream. Pavel Vrbka – master chef. 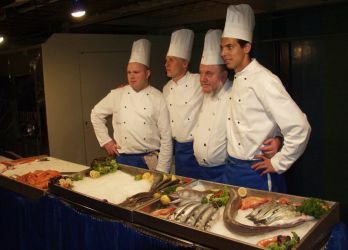 Chef of Czech restaurant in Czech National Pavilion at the 2005 AICHI World EXPO in Japan. Great experience in international cuisine. Master in the preparation of roasted pork knee, chef of renowned U Čejpů restaurant. Chef of Mexican restaurant Cantina in Prague on Újezd Street, subsequently Hilton Hotel in Prague. Participated in the Vařečka television show on TV Prima. Specialist in wild game dishes for all kinds of game. A true expert in the preparation of pheasant dishes in many variations. Specialist in the preparation of steaks and barbecues, especially from Latin American beef. Chef of Stará Myslivna Restaurant, executive catering chef for hunts held in the Konopiště chateau pheasantry. 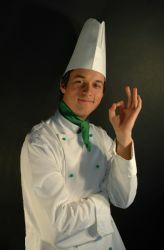 Miloslav Kodera - master chef. 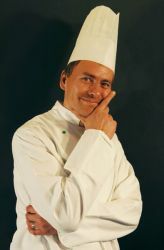 Chef of Czech restaurant in Czech National Pavilion at the 2005 AICHI World EXPO in Japan. 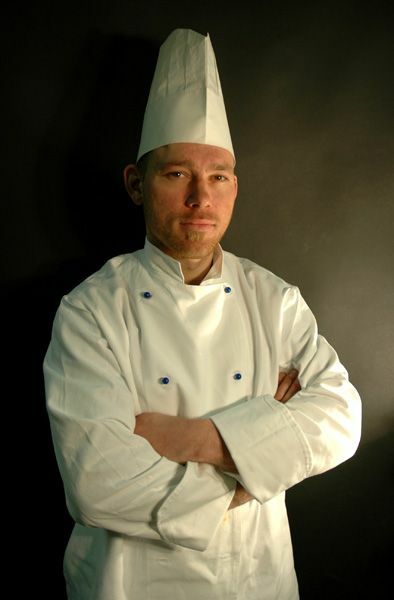 Chef of Havan Restaurant Prague. Účast na prezentacích české kuchyně a gastronomie na mezinárodních výstavách a veletrzích. Gastronomická praxe v Německu, Švýcarsku a Japonsku. Šéfkuchař v hotelu Alpenrose v Adelbodenu ve Švýcarsku. A true expert in the preparation of traditional Czech Znalec gastronomických receptur klasické tradiční české kuchyně a vyhledávaný odborník na pěstování bylin pro přípravu sušených bylinných ingrediencí a dochucovacích směsí. Mistr v přípravě rožnění, grilovaných mas a steaků.